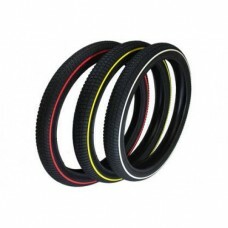 Illegal Amplo BMX Tyre with pinstripe colour sidewall... The Amplo Tyre is Ilegal'.. Illegal BMX Chain with half link: - Strong and reliable 1/2" x 1/8" 410 BMX Chain - Built in h.. Premium quality at an affordable price.Why spend money engraving bearings when no one will see them?.. Ilegal Alloy BMX cranks Amazing value crankset suitable for Park, Street, Trails even Racing ..